This is the main user interface. When you start the app for the first time, it will show a default bus route. "From" button on the top left. More about this later. "i" button provides access to Dublin Buster website. If route variation detail is cut off, you can tap on it for the full detail. 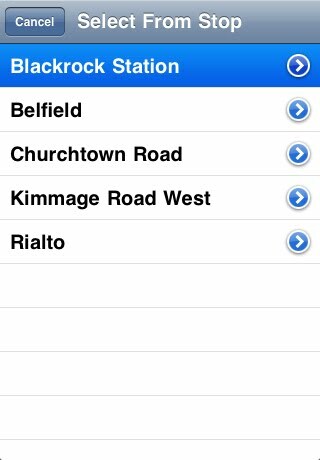 From button will give you a list of those bus stops so that you can select to view their schedules. 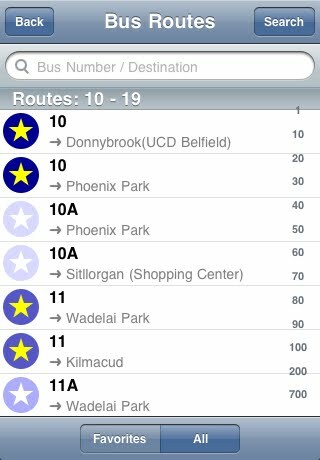 The favorite bus route list give quick access to your frequent used bus routes. 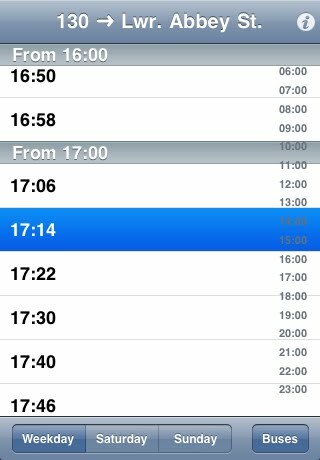 The view to select "From" stops. Sometimes the stop description includes route variations and can become really long. Tap the disclosure button on the right to view the full details. 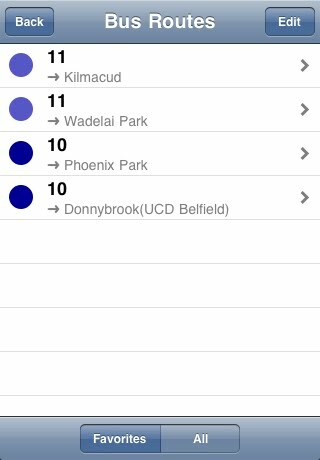 You can use "i" button at the top right to show you the info screen: the app's version, today's date, way to control timetable animation and access to Dublin Buster website. 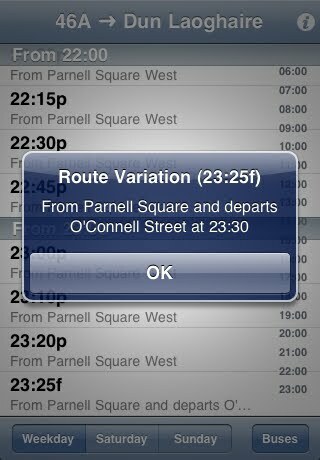 Dublin Buster Website provides the app's help and Dublin Bus news. Internet is required for this feature.